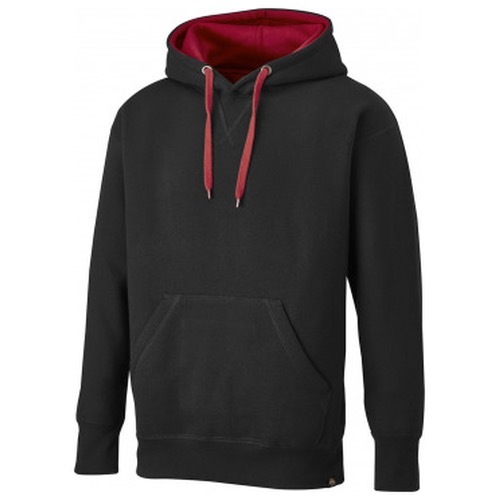 The Dickies Two Tone Hooded Pullover is a durable hoody made of heavier 340gsm fabric. 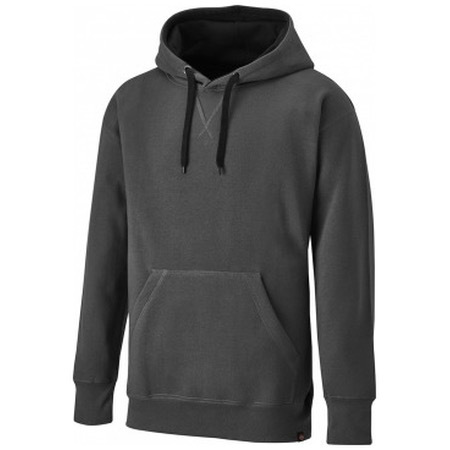 This garment is available in either grey or black colour variations with a contrasting colour inside the hood. Featuring drawcords around the neck and a knitted cuff and hem the two tone pullover also offers an internal earphone cable system and a hidden mobile phone pocket. 50% polyester, 50% cotton. 340gsm.